3MF is an industry consortium working to define a 3D printing format that will allow design applications to send full-fidelity 3D models to a mix of other applications, platforms, services and printers. The Academy Software Foundation (ASWF)’s goal is to increase the quality and quantity of contributions to the content creation industry’s open source software base; to provide a neutral forum to coordinate cross-project efforts; to provide a common build and test infrastructure; and to provide individuals and organizations a clear path to participation in advancing our open source ecosystem. ACRN is an open source reference hypervisor built to meets the unique needs of embedded IoT development. Today’s connected devices are increasingly expected to support a range of hardware resources, operating systems, and software tools/applications. Virtualization is key to meeting these broad needs; however, existing solutions don’t offer the right size and flexibility for IoT. ACRN aims to be the answer. ACRN is comprised of two main components: the hypervisor and its device model, complete with rich I/O mediators. ACRN will have a Linux-based service OS and will run guest operating systems (another Linux instance, an RTOS, Android, or other operating systems) simultaneously, providing a powerful software platform to build complex computing systems. Acumos AI aims to make artificial intelligence (AI) available to everyone by providing a common framework and platform for the free exchange of machine learning solutions. Acumos AI aims to make artificial intelligence (AI) available to everyone by providing a common framework and platform for the free exchange of machine learning solutions. The Linux Foundation expects to launch the project in early 2018. With the Acumos platform, we’re working to create an industry standard for making AI applications and models reusable and easily accessible to any developer. AI tools today can be difficult to use and often are designed for data scientists. The Acumos platform will be user-centric, with an initial focus on creating apps and microservices. Akraino Edge Stack will create an open source software stack supporting high-availability cloud services optimized for edge computing systems and applications. Akraino Edge Stack will create an open source software stack supporting high-availability cloud services optimized for edge computing systems and applications. To seed the new project, AT&T is contributing code designed for carrier-scale edge computing applications running in virtual machines and containers to support reliability and performance requirements. The Akraino Edge Stack community anticipates releasing open source project code in the second quarter of 2018. AOMedia unites top tech leaders behind a collaborative effort to offer open, royalty-free and interoperable solutions for the next generation of media delivery. The AllJoyn Open Source Project develops and supports the AllJoyn IOT framework. AllJoyn is a complete, open source, application framework for connected products, devices and services. The AllJoyn Open Source Project develops and supports the AllJoyn IOT framework. AllJoyn is a complete, open source, application framework for connected products, devices and services. Millions of products use AllJoyn today in a vibrant community that continues strongly for the future of broad interoperability in IOT. The current AllJoyn project with the Linux Foundation started in the AllSeen Alliance in 2013. This project is now sponsored as an independent Linux Foundation project by the Open Connectivity Foundation (OCF), who also are sponsoring the AllJoyn certified program which continues to grow in the number of certified AllJoyn products. As a Linux Foundation collaborative project, membership is not required to use AllJoyn or to contribute to the development of AllJoyn. A Flexible and Powerful Parameter Server for large-scale machine learning. Appium is an open-source, Node.js server used for automating native, mobile web, and hybrid applications on iOS, Android and the Universal Windows Platform. Architect offers a simplistic plaintext manifest and npm script based workflows for creating, deploying, working offline and more with cloud functions. Automotive Grade Linux (AGL) is an open source project that aims to accelerate the development and adoption of a fully open software stack for the connected car. Leveraging the power and strength of Linux at its core, AGL is uniting automakers and technology companies to develop a common platform that offers OEMs complete control of the user experience so the industry can rapidly innovate where it counts. The AGL platform is available to all, and anyone can participate in its development. Carrier Grade Linux has two main functions. First, interface with network equipment providers and carriers to gather requirements and produce specifications that Linux distribution vendors can implement. Carrier Grade Linux has two main functions. First, interface with network equipment providers and carriers to gather requirements and produce specifications that Linux distribution vendors can implement. Second, to take unimplemented requirements and foster development projects that will meet these requirements and assist in their upstream integration. The Continuous Delivery Foundation (CDF) serves as the vendor-neutral home of many of the fastest-growing projects for continuous delivery, including Jenkins, Jenkins X, Spinnaker, and Tekton. The Continuous Delivery Foundation (CDF) serves as the vendor-neutral home of many of the fastest-growing projects for continuous delivery, including Jenkins, Jenkins X, Spinnaker, and Tekton. CDF supports DevOps practitioners with an open model, training, industry guidelines, and a portability focus. The Ceph Foundation exists to enable industry members to collaborate and pool resources to support the Ceph project community. The Community Health Analytics Open Source Software project (CHAOSS) is focused on creating the analytics and metrics to help define community health. The project aims to establish standard implementation-agnostic metrics for measuring community activity, contributions, and health, which are objective and repeatable. As well as produce integrated open source software for analyzing software community development. The Civil Infrastructure Platform (CIP) is a collaborative, open source project hosted by The Linux Foundation. The CIP project is focused on establishing an open source “base layer” of industrial grade software to enable the use and implementation of software building blocks in civil infrastructure projects. Currently, civil infrastructure systems are built from the ground up, with little re-use of existing software building blocks. The Cloud Foundry Foundation is an independent nonprofit organization formed to sustain the development, promotion, and adoption of Cloud Foundry as the industry standard multi-cloud platform. Cloud Foundry makes it faster and easier to build, test, deploy, and scale applications. -Provide a vibrant agile experience for the community’s contributors that delivers the highest quality cloud-native applications and software, at high velocity with global scale. The CNI (Container Network Interface) project consists of a specification and libraries for writing plugins to configure network interfaces in Linux containers, along with a number of supported plugins. CNI concerns itself only with network connectivity of containers and removing allocated resources when the container is deleted. Because of this focus, CNI has a wide range of support and the specification is simple to implement. As well as the specification, this repository contains the Go source code of a library for integrating CNI into applications, an example command-line tool, a template for making new plugins, and the supported plugins. The template code makes it straight-forward to create a CNI plugin for an existing container networking project. CNI also makes a good framework for creating a new container networking project from scratch. Code Aurora is a consortium of companies with open source projects serving the mobile wireless ecosystem. Code Aurora is a consortium of companies with open source projects serving the mobile wireless ecosystem. The projects host the tested open source code needed to provide upstream enablement for innovative, performance optimized support for system on a chip (SoC) products and related ecosystems, and also serves as a staging area for code that is submitted to upstream projects such as the Linux kernel and Android. CDLA license agreements establish a framework for collaborative sharing of data based on principles proven to work in open source software communities. An industry-standard container runtime with an emphasis on simplicity, robustness and portability. CORD™ (Central Office Re-architected as a Datacenter) combines NFV, SDN, and the elasticity of commodity clouds to bring datacenter economics and cloud agility to the Telco Central Office. CORD lets the operator manage their Central Offices using declarative modeling languages for agile, real-time configuration of new customer services. A reference implementation of CORD combines commodity servers, white-box switches, and disaggregated access technologies with open source software to provide an extensible service delivery platform. This gives network operators the means to configure, control, and extend CORD to meet their operational and business objectives. The reference implementation is sufficiently complete to support field trials. The mission of the Core Embedded Linux Project is to provide a vendor neutral place to discuss and establish core embedded Linux technologies. The mission of the Core Embedded Linux Project is to provide a vendor neutral place to discuss and establish core embedded Linux technologies. Any Linux Foundation member company can apply for membership in the Core Embedded Linux Project. The meaning of the CE acronym was originally Consumer Electronics but it has been changed to Core Embedded, because nowadays Linux is used in many kind of products, including not only consumer electronics but also industrial systems or Internet of Things applications. The Core Embedded Linux Project aims to cover wider technologies than other collaborative projects. We always try to find or focus on new requirements or topics for embedded Linux systems. These requirements and topics proposed by member companies are based on actual requirements that need to be solved in collaboration with the open source community. The Core Embedded Linux Project is a group that can be used to research and discuss topics that are not covered by another Linux Foundation project. For example, the Civil Infrastructure Platform project started as an investigation project inside the Core Embedded Linux Project. Open Project Contract Work: Each year, the Core Embedded Linux Project spends money on contract work to improve Linux for use in embedded systems. Some of projects that the Core Embedded Linux Project has sponsored in the past include Linux-tiny, DirectFB enhancement, smem, U-boot and kexecboot improvements, and Squashfs and YAFFS mainlining. The process is open to the public, and members of the public submit to the Core Embedded Linux Project ideas and proposals for project that they think should be worked on to enhance embedded Linux. For more detail about proposal format, contact, and deadline, please visit Embedded Linux Wiki. – http://elinux.org/CEWG_Open_Project_Proposals. Long Term Support Initiative (LTSI): To minimize fragmented use of Linux in embedded systems, and accelerate further innovation of Linux by incorporating innovations from embedded system engineers, the Core Embedded Linux Project sponsors the LTSI project.This project consists of publishing a kernel source tree, based on the community’s long-term stable tree, and maintaining it with back-ported features and innovations which are beneficial for the embedded industry. The life of the community’s long-term stable tree is expected to be 2 years, and that of the long-term industry tree is expected to be 2-3 years – which corresponds to the typical life of consumer electronics products like Smartphones. For more detail, please visit LTSI web site. Regional Technical Conference (Jamboree): The Core Embedded Linux Project hosts a series of regional technical conferences, called technical jamborees, in Japan. The jamborees are not formal technical conferences, but an informal meeting to exchange ideas and discuss technologies freely in an open source community manner. For information about the date and location of upcoming Jamborees, please visit Embedded Linux Wiki. Embedded Linux Developer wiki (aka. Elinux wiki): The elinux wiki, at http://elinux.org, is maintained by the Core Embedded Linux Project, and serves as a collection point for information for embedded Linux developers. This site is open to public contributions and editing, and is a resource for the entire embedded Linux community. Several development boards have significant information on the site. There are articles and links to many resources for a wide variety of technical topics. 5.1 Device Mainlining Project: This purpose of this project is to decrease the amount of out-of-mainline patches for the Linux kernel, for System-On-Chip processors used in modern consumer electronics products. More on the Device Mainlining Project. 5.2 Shared Embedded Linux Distribution Project: The goal of this project is to share the work of maintaining long-term support for an embedded distribution, by leveraging the work of the Debian project. More on the Shared Embedded Linux Distribution Project. CE Developer Mailing list: The workgroup maintains a mailing list for discussing the group’s initiatives, events, and projects, at https://lists.celinuxforum.org/mailman/listinfo/celinux-dev. This list is open to the public. The list is not intended for general technical support, or developer questions, but sometimes technical discussion threads from other lists are copied to this list. Announcements are made to this list about the Core Embedded Linux Project technical projects and events. Membership Structure: The Core Embedded Linux Project has two key organizations. One is the Steering Committee (SC) that handles operational issues such as strategies, directions and funding, and the other is the Architecture Group (AG) which handles technical issues that include open projects and technical initiatives such as the LTSI. New SC members are elected by a vote of current SC members, for a term of 2 years. Once your membership is approved by the Steering Committee, you will be added in the AG mailing list, and receive invitations to AG meetings. The Core Infrastructure Initiative (CII) is a multimillion-dollar project to fund and support critical elements of the global information infrastructure. The Core Infrastructure Initiative (CII) is a multimillion-dollar project to fund and support critical elements of the global information infrastructure. It is organized by The Linux Foundation and supported by Amazon Web Services, Adobe, Bloomberg, Cisco, Dell, Facebook, Fujitsu, Google, Hitachi, HP, Huawei, IBM, Intel, Microsoft, NetApp, NEC, Qualcomm, RackSpace, salesforce.com, and VMware. CII enables technology companies to collaboratively identify and fund open source projects that are in need of assistance, while allowing the developers to continue their work under the community norms that have made open source so successful. The first project to receive funds from the Initiative is OpenSSL, which received fellowship funding for key developers as well as other resources to assist the project in improving its security, enabling outside reviews, and improving responsiveness to patch requests. CII, working with the Open Crypto Audit Project, has retained the NCC Group to audit OpenSSL code. CII was formed as a response to the Heartbleed security crisis; however, the Initiative’s efforts will not be restricted to crypto-related issues. CII is transitioning from point fixes to holistic solutions for open source security. CoreDNS provides DNS service discovery for the cloud and more. The goal of the project is to explore how source code evolves with each contribution and over time. One of its main applications is the creation of a token-based view of the source code, deconstructing the code into the smallest parseable units recognized by a compiler. A token-based view of git blame data shows, for each token in the corresponding source code, the commit that introduced token or last modified it and links to any relevant discussions of that change in mailing lists. The Disaggregated Network Operating System (DANOS) project enables community collaboration across network hardware, forwarding, and operating system layers. The Disaggregated Network Operating System (DANOS) project enables community collaboration across network hardware, forwarding, and operating system layers. DANOS is initially based on AT&T’s dNOS software framework, which provides an open, cost-effective, and flexible alternative to traditional networking operating systems. Moving forward, the project will incorporate contributions from complementary open source communities to build a standardized distributed network operating system. The complexity of systems is growing rapidly; multi-core introduces notoriously difficult-to-find bugs; hypervisors, virtual machines, middleware, and cloud technologies create extra layers; heterogeneous systems are now common in embedded systems; the Internet of Things requires interactions between different types of devices… the list goes on. The increased complexity is creating tricky problems requiring a significant amount of investigation with programs that are not typically created to be diagnosed together, for example open source components, libraries, in-house code, and proprietary third party. With open source adoption, we now have the opportunity to create a de facto widely used tracing and monitoring infrastructure. The DiaMon Workgroup would like to improve interoperability between those tools as well as improve Linux-based tracing, profiling, logging, and monitoring features. The Workgroup aims to accelerate this development by making it easier to work together on common pieces. DIF is an engineering-driven organization focused on developing the foundational elements necessary to establish an open ecosystem for decentralized identity and ensure interop between all participants. Dojo is a progressive TypeScript framework for building modern web apps with a focus on developer ergonomics. DPDK is the Data Plane Development Kit that consists of libraries to accelerate packet processing workloads running on a wide variety of CPU architectures. The Dronecode Project is an open source, collaborative project that brings together existing and future open source drone projects under a nonprofit structure governed by The Linux Foundation. The result will be a common, shared open source platform for Unmanned Aerial Vehicles (UAVs). Dronecode will encourage the development of open source consumer and commercial UAV software by building and supporting a community of developers and providing them the resources and tools to help them innovate. The ultimate goal is to maximize adoption of the project’s code for the benefit of users with cheaper, better, and more reliable UAV software. The platform has already been adopted by the organizations on the forefront of drone technology. Dronecode creates a neutral and transparent body that will leverage a contribution-based meritocracy that allows other parties and developers to influence and participate in the development and direction of the software. The project will provide coordination and prioritize funding for initiatives. Dronecode serves as a trusted and neutral home to become the de facto standard platform for drone/robotics open projects. By partnering with The Linux Foundation, the Dronecode community will have access to collaboration best practices and resources to spread the reach of collaboratively-developed and open software. Project EVE (Edge Virtualization Engine) aims to develop an open, agnostic and standardized architecture unifying the approach to developing and orchestrating cloud-native applications across the enterprise on-premises edge. EdgeX Foundry™ is a vendor-neutral open source project hosted by The Linux Foundation building a common open framework for IoT edge computing. EdgeX Foundry™ is a vendor-neutral open source project hosted by The Linux Foundation building a common open framework for IoT edge computing. At the heart of the project is an interoperability framework hosted within a full hardware- and OS-agnostic reference software platform to enable an ecosystem of plug-and-play components that unifies the marketplace and accelerates the deployment of IoT solutions. EdgeX is an important enabler for interested parties to freely collaborate on open and interoperable IoT solutions built using existing connectivity standards combined with their own proprietary innovations. Elastic Deep Learning using PaddlePaddle and Kubernetes. The Enabling Linux in Safety Applications (ELISA) open source project to create a shared set of tools and processes to help companies build and certify Linux-based safety-critical applications and systems. The Enabling Linux in Safety Applications (ELISA) open source project is working to create a shared set of tools and processes to help companies build and certify Linux-based safety-critical applications and systems whose failure could result in loss of human life, significant property damage or environmental damage. Building off the work being done by SIL2LinuxMP project and Real-Time Linux project, ELISA makes it easier for companies to build safety-critical systems such as robotic devices, medical devices, smart factories, transportation systems and autonomous driving using Linux. Envoy, a CNCF project, is a service mesh originally created at Lyft, and now used inside companies including Google, Apple, Netflix, and more. Envoy, a CNCF project, is a service mesh originally created at Lyft, and now used inside companies including Google, Apple, Netflix, and more. Envoy is written in C++ and designed to minimize memory and CPU footprint, while providing capabilities such as load balancing and deep observability of network, tracing and database activity in microservices environments. etcs is a distributed reliable key-value store for the most critical data of a distributed system. The Fast Data Project (FD.io), "Fido," is a Linux Foundation project that provides an IO services framework for the next wave of network and storage software. The Fast Data Project (FD.io), “Fido,” is a Linux Foundation project that provides an IO services framework for the next wave of network and storage software. Architected as a collection of subprojects, FD.io provides a modular, extensible user space IO services framework that supports rapid development of high-throughput, low-latency, and resource-efficient IO services. The design of FD.io is hardware, kernel, and deployment (bare metal, VM, container) agnostic. FD.io is based on the Vector Packet Processing (VPP) technology. FD.io provides an out-of-the-box programmable vSwitch/vRouter. VPP runs in user space on multiple architectures, including x86, ARM, and Power and is deployed on various platforms including x86 servers and embedded devices. One of the immediate benefits of VPP is that it’s two orders of magnitude faster than currently available open source options. Fluentd is an open source logging solution to unify data collection and consumption. FOSSology is a proven, trusted tool for open source license compliance. Already in use by a variety of companies and law firms such as HP Partners, Sullivan & Worcester, and Bloomberg, the project allows companies to run license and copyright scans effortlessly, among other features. FOSSology answers a growing need for compliance tools and projects hosted by a neutral party. FRRouting (FRR) is an IP routing protocol suite for Unix and Linux platforms which includes protocol daemons for BGP, IS-IS, LDP, OSPF, PIM, and RIP, and the community is working to make this the best routing protocol stack available. gRPC is a high-performance, open source universal RPC framework. Harbor is an open source cloud native registry that stores, signs, and scans container images for vulnerabilities. Harbor solves common challenges by delivering trust, compliance, performance, and interoperability. It fills a gap for organizations and applications that cannot use a public or cloud-based registry, or want a consistent experience across clouds. Helm helps you manage Kubernetes applications — Helm Charts helps you define, install, and upgrade even the most complex Kubernetes application. Helm helps you manage Kubernetes applications — Helm Charts helps you define, install, and upgrade even the most complex Kubernetes application. Charts are easy to create, version, share, and publish — so start using Helm and stop the copy-and-paste madness. The latest version of Helm is maintained by the CNCF – in collaboration with Microsoft, Google, Bitnami and the Helm contributor community. Distributed training framework for TensorFlow, Keras, and PyTorch. HospitalRun is built to provide the most modern hospital information system possible to the least resourced environments. The Hyperledger Project (HLP) is a collaborative effort created to advance blockchain technology by identifying and addressing important features for a cross-industry open standard for distributed ledgers that can transform the way business transactions are conducted globally. It is a Linux Foundation Project and implements many open source best practices familiar to other leading projects. Hyperledger Burrow provides a modular blockchain client with a permissioned smart contract interpreter. Hyperledger Burrow is one of the Hyperledger projects hosted by The Linux Foundation. Hyperledger Burrow was originally contributed by Monax and co-sponsored by Intel. Hyperledger Burrow provides a modular blockchain client with a permissioned smart contract interpreter partially developed to the specification of the Ethereum Virtual Machine (EVM). Hyperledger Caliper is a blockchain benchmark tool and one of the Hyperledger projects hosted by The Linux Foundation. Hyperledger Caliper is a blockchain benchmark tool and one of the Hyperledger projects hosted by The Linux Foundation. Hyperledger Caliper allows users to measure the performance of a specific blockchain implementation with a set of predefined use cases. Hyperledger Caliper will produce reports containing a number of performance indicators, such as TPS (Transactions Per Second), transaction latency, resource utilisation etc. The intent is for Caliper results to be used by other Hyperledger projects as they build out their frameworks, and as a reference in supporting the choice of a blockchain implementation suitable for a user’s specific needs. Hyperledger Caliper was initially contributed by developers from Huawei, Hyperchain, Oracle, Bitwise, Soramitsu, IBM and the Budapest University of Technology and Economics. Hyperledger Cello is a blockchain module toolkit and one of the Hyperledger projects hosted by The Linux Foundation. Hyperledger Cello is a blockchain module toolkit and one of the Hyperledger projects hosted by The Linux Foundation. Hyperledger Cello aims to bring the on-demand “as-a-service” deployment model to the blockchain ecosystem to reduce the effort required for creating, managing and terminating blockchains. It provides a multi-tenant chain service efficiently and automatically on top of various infrastructures, e.g., baremetal, virtual machine, and more container platforms. Hyperledger Cello was initially contributed by IBM, with sponsors from Soramitsu, Huawei and Intel. Hyperledger Composer is a set of collaboration tools for building blockchain business networks. Hyperledger Explorer is a blockchain module and one of the Hyperledger projects hosted by The Linux Foundation. Hyperledger Explorer is a blockchain module and one of the Hyperledger projects hosted by The Linux Foundation. Designed to create a user-friendly Web application, Hyperledger Explorer can view, invoke, deploy or query blocks, transactions and associated data, network information (name, status, list of nodes), chain codes and transaction families, as well as any other relevant information stored in the ledger. Hyperledger Explorer was initially contributed by IBM, Intel and DTCC. Hyperledger Fabric is a blockchain framework implementation and one of the Hyperledger projects hosted by The Linux Foundation. Hyperledger Grid initially intends to provide reference implementations of supply chain-centric data types, data models, and smart contract based business logic. Supply chain is commonly cited as one of the most promising distributed ledger use-cases. Initiatives focused on building supply chain solutions will benefit from shared, reusable tools. Hyperledger Grid seeks to assemble these shared capabilities in order to accelerate the development of ledger-based solutions for all types of cross-industry supply chain scenarios. Hyperledger Grid initially intends to provide reference implementations of supply chain-centric data types, data models, and smart contract based business logic – all anchored on existing, open standards and industry best practices. Second it will showcase in authentic and practical ways how to combine components from the Hyperledger stack into a single, effective business solution. Hyperledger Grid is a framework. It’s not a blockchain and it’s not an application. Grid is an ecosystem of technologies, frameworks, and libraries that work together, letting application developers make the choice as to which components are most appropriate for their industry or market model. Hyperledger Indy is a distributed ledger, purpose-built for decentralized identity. Because distributed ledgers cannot be altered after the fact, it is essential that use cases for ledger-based identity carefully consider foundational components, including performance, scale, trust model, and privacy. In particular, Privacy by Design and privacy-preserving technologies are critically important for a public identity ledger where correlation can take place on a global scale. For all these reasons, Hyperledger Indy has developed specifications, terminology, and design patterns for decentralized identity along with an implementation of these concepts that can be leveraged and consumed both inside and outside the Hyperledger Consortium. Hyperledger Iroha is a blockchain platform implementation and one of the Hyperledger projects hosted by The Linux Foundation. Hyperledger Iroha is a blockchain platform implementation and one of the Hyperledger projects hosted by The Linux Foundation. Hyperledger Iroha is written in C++ incorporating unique chain-based Byzantine Fault Tolerant consensus algorithm, called Yet Another Consensus and the BFT ordering service. The manipulation of accounts and digital assets is supported with the small set of fast commands and queries. The Iroha peers are also validations nodes that can distribute half-signed transactions over the Gossip protocol as part of the multi-signature transactions. In conjunction with the powerful role-based permission model that incorporates grant capabilities, the end-user applications are endless. The blocks are stored in files while the ledger state is stored in the PostgreSQL database. The use of the SQL database supports implementation of complex analytics against the ledger and straightforward reporting. To use Iroha, the client uses one of the supported client libraries to create a protobuf/gRPC message that is then processed by the Iroha platform. Written in C++, Hyperledger Iroha provides a small set of fast commands and queries that cover most common operations for the digital asset management and digital identity management. Hyperledger Quilt is a business blockchain tool and one of the Hyperledger projects hosted by The Linux Foundation. Hyperledger Sawtooth is a modular platform for building, deploying, and running distributed ledgers. Hyperledger Sawtooth is a modular platform for building, deploying, and running distributed ledgers. Distributed ledgers provide a digital record (such as asset ownership) that is maintained without a central authority or implementation. Hyperledger Ursa is a shared cryptographic library that would enable people (and projects) to avoid duplicating other cryptographic work and hopefully increase security in the process. “Base Crypto” Library – Our first sub-project will be our “base crypto” library, of which the main feature is our shared modular signature library. This has the implementation of several different signature schemes with a common API, which allows for blockchain builders to change signature schemes almost on-the-fly (or to use and support multiple signature schemes easily). Z-Mix – Our second sub-project will be Z-mix. Z-mix will offer a generic way to create zero-knowledge proofs that prove statements about multiple cryptographic building blocks, including signatures, commitments, and verifiable encryption. The goal of this subproject is to provide a single flexible and secure implementation to construct such zero-knowledge proofs. Z-mix consists of C-callable code but there are also convenience wrappers for various programming languages. Interledger.js enables instant payments and micropayments in any currency, across many payment networks using the Interledger Protocol (ILP). The IOLC was created as a forum for collaboration among stakeholders to address the technical skills gap in the workplace. The IO Visor Project is an open source, technical community where industry participants may easily contribute to and adopt the project’s technology for an open programmable data plane for modern IO and networking applications. By providing a programmable data plane and development tools to simplify the creation and sharing of dynamic IO modules, IO Visor Project enables a new way to innovate, develop, and share IO and networking functions with the community. Each day, more and more devices are coming online, adding to the ever-growing Internet of Things (IoT). Analysts agree the IoT will grow to many billions of devices over the next decade. The challenge for the IoT ecosystem is to ensure these emerging IoT devices can connect securely and reliably to the internet and to each other. 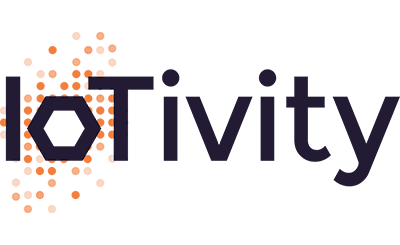 The IoTivity project was created to bring together the open source community to accelerate the development of the framework and services required to connect these billions of devices. The IoTivity project is sponsored by the Open Interconnect Consortium (OIC), a group of industry leaders who will be developing a standard specification and certification program to address these challenges. IoTivity will deliver an open source reference implementation of the OIC standard specifications, yet will not be limited to those requirements. Jaeger, a CNCF project, is a distributed tracing system developed by Uber to monitor its large microservices environment, and is now used a collection of companies including Red Hat, SeatGeek, and Under Armour. Jaeger, a CNCF project, is a distributed tracing system developed by Uber to monitor its large microservices environment, and is now used a collection of companies including Red Hat, SeatGeek, and Under Armour. Jaeger was designed to be highly scalable and available, and provides native support for the OpenTracing standard and numerous storage backends. It features a modern UI and is designed to integrate with cloud-native systems such as OpenTracing, Kubernetes, and Prometheus. JanusGraph is a scalable graph database optimized for storing and querying graphs containing hundreds of billions of vertices and edges distributed across a multi-machine cluster. JanusGraph is a transactional database that can support thousands of concurrent users executing complex graph traversals in real time. Elastic and linear scalability for a growing data and user base. Data distribution and replication for performance and fault tolerance. Multi-datacenter high availability and hot backups. Support for ACID and eventual consistency. Open source under the Apache 2 license. Jenkins is the leading open source automation server supported by a large and growing community of developers, testers, designers and other people interested in continuous integration, continuous delivery and modern software delivery practices. Built on the Java Virtual Machine (JVM), it provides more than 1,500 plugins that extend Jenkins to automate with practically any technology software delivery teams use. Jenkins X is an open source CI/CD solution for modern cloud applications on Kubernetes. Jenkins X is an open source CI/CD solution for modern cloud applications on Kubernetes. Jenkins X provides pipeline automation, built-in GitOps and preview environments to help teams collaborate and accelerate their software delivery at any scale. The Linux Foundation and the Joint Development Foundation plan to provide greater capabilities for communities to engage in open source and standards development to speed industry adoption. jQuery Mobile is a unified, HTML5-based user interface system for all popular mobile device platforms, built on the rock-solid jQuery and jQuery UI foundation. jQuery Mobile is a unified, HTML5-based user interface system for all popular mobile device platforms, built on the rock-solid jQuery and jQuery UI foundation. Its lightweight code is built with progressive enhancement, and has a flexible, easily themeable design. Let’s Coordinate streamlines organizational and technical communications between operators in power systems (TSOs Regional Security Coordinators, DSOs, etc.). Let’s Encrypt is a free, automated, and open certificate authority (CA), run for the public’s benefit. Let’s Encrypt is a service provided by the Internet Security Research Group (ISRG). LF Deep Learning Foundation is a project of The Linux Foundation that supports open source innovation in artificial intelligence, machine learning, and deep learning. LF Deep Learning was created to support numerous technical projects within this important space. LF Edge is an umbrella organization that aims to establish an open, interoperable framework for edge computing independent of hardware, silicon, cloud, or operating system. LF Energy is a new Linux Foundation project that supports multi-vendor collaboration and open source innovation in the energy and electricity sectors. LF Energy is a new Linux Foundation project that supports multi-vendor collaboration and open source innovation in the energy and electricity sectors. Our ambition is to accelerate the energy transition and the diffusion of renewable energy resources, including the move to electric mobility and the proliferation of demand response peripheral devices—all while modernizing and protecting the grid. We are excited to foster progress and a neutral shared environment in this important space. LF Networking (LFN) brings together seven top networking projects to increase harmonization across platforms, communities, and ecosystems. Resilient service mesh for cloud native applications. Linkerd is a transparent proxy that adds service discovery, routing, failure handling, and visibility to modern software applications. Linux is the world’s most dominant operating system. Launched in 1991 by Linus Torvalds, it’s the quintessential example of user-led open source innovation, as it represented Linus’ desire for an operating system that he could run on his personal computer. Eventually the world took notice and everyone from hardware companies to emerging technology providers found themselves participating in the development of Linux and construction of solutions to run on top of the open source OS. Between 2005 and 2015, over 11,800 individual developers from nearly 1,200 different companies contributed to the Linux kernel project, which has become a common, shared resource developed on a massive scale by companies who are otherwise fierce competitors in their industry segments. Regular two-to-three month releases deliver stable updates to Linux users, adding significant new features, enhanced device support, and improved performance. The rate of change in the kernel has been historically high and continues to increase, with over 10,000 patches going into each recent kernel release. Each of these releases contains the work of over 1,400 developers representing over 200 corporations. When targeting Linux as a platform, application developers want to have some assurance that the code they write on one Linux distribution will run on other Linux distributions without having to go through extra effort. This matches their experiences on other popular platforms such as Windows or Mac OS X. In addition, application developers want to ensure that the platform as a whole does not diverge. Even if an application works on today’s distributions, will it work on tomorrow’s? The LSB has, as its core goal, to address these two concerns. We publish a standard that describes the minimum set of APIs a distribution must support, in consultation with the major distribution vendors. We also provide tests and tools which measure support for the standard, and enable application developers to target the common set. Finally, through our testing work, we seek to prevent unnecessary divergence between the distributions. LinuxBoot is working to improve system boot performance and reliability by replacing some firmware functionality with a Linux kernel and runtime. The LTSI is an ecosystem-wide collaborative project to create and maintain long-term sustainable kernel. The LTSI is an ecosystem-wide collaborative project to create and maintain long-term sustainable kernel for the industry that contains additional features such as cutting edge device support as well as security and bug fix patch available in community long-term maintenance kernel. Mapzen is an open source mapping platform focused on the core components of map display including search and navigation. Marko is a friendly (and fast!) UI library that makes building web apps with reactive UI components fun! A hosted CNCF project, NATS is a mature, high-performance, lightweight, and secure cloud native messaging system. A hosted CNCF project, NATS is a mature, high-performance, lightweight, and secure cloud native messaging system. It implements publish/subscribe, request/reply, and distributed queue patterns to help create a performant and secure method of InterProcess Communication (IPC). Node-RED is a flow-based programming environment built on Node.js — commonly used in the IoT space — and aimed at creating event-driven applications that can easily integrate APIs and services. Node.js Foundation is a collaborative open source project dedicated to building and supporting the Node.js platform and other related modules. Node.js is used by tens of thousands of organizations in more than 200 countries and amasses more than 2 million downloads per month. It is the runtime of choice for high-performance, low latency applications, powering everything from enterprise applications to robots to API engines to cloud stacks to mobile websites. The Node.js Foundation’s mission is to enable widespread adoption and help accelerate development of Node.js and other related modules through an open governance model that encourages participation, technical contribution, and a framework for long-term stewardship by an ecosystem invested in Node.js’ success. Notary, a CNCF project, is an implementation of TUF, another CNCF project, designed to establish trust over digital content via strong cryptography. Notary, a CNCF project, is an implementation of TUF, another CNCF project, designed to establish trust over digital content via strong cryptography. Notary does this by ensuring software is coming from the expected source, and that it has not been altered by anybody except its author. It gives developers a cryptographic tool to verify the provenance of containers and their content. Docker created Notary and contributed it to CNCF. The OACA is community-led Linux Foundation project to enable innovative, safe and agile use of cloud computing for business value. OACA is driven by the mission to share cloud adoption practices and continuously improve the maturity, safety, and scale of cloud adoption. Our goal is to create a highly engaged and vibrant community of cloud practitioners collaborating to drive interoperability of practices and creation of value. ODPi is a nonprofit organization committed to simplification and standardization of the big data ecosystem with a common reference specification called ODPi Core. Apache Hadoop, its components, and Apache Hadoop Distros are innovating very quickly and in different ways. This diversity, while healthy in many ways, also slows the big data ecosystem. By providing a specification for a common runtime, reference implementations, and test suites, ODPi Core removes cost and complexity and accelerates the development of big data solutions. The Open Network Operating System (ONOS) is a software defined networking (SDN) OS for service providers that has scalability, high availability, high performance, and abstractions to make it easy to create applications and services. The platform is based on a solid architecture and has quickly matured to be feature-rich and production-ready. The community has grown to include over 50 partners and collaborators that contribute to all aspects of the project, including interesting use cases such as CORD. Its mission is to produce the Open Source Network Operating System that will enable service providers to build real software defined networks. First chartered in 2004 as the Linux Foundation Accessibility Workgroup (LFA), the Open Accessibility (A11y) Group functions today within The Linux Foundation to establish free and open standards that enable comprehensive universal access to various computing platforms, applications, and services. Open A11y makes it easier for developers, ISVs, and distributions to support assistive technologies (AT). Assistive technologies enable individuals to make full use of computer-based technology despite variability in physical or sensory abilities due to illness, aging, or disability. AT enables individuals who are blind or visually impaired to read online text, for example, and provides the means for individuals who do not have the use of their arms and hands to write and correspond. AT also enables individuals who cannot speak or hear to participate on the telephony interfaces of today—and will support their participation on the multimodal computer interfaces of tomorrow. The Linux Foundation supports the USPTO’s drive to improve the quality of software patents. The goal is to reduce the number of poor-quality patents that issue by increasing accessibility to open source software code and documentation that can be used as prior art during the patent examination process. For the open source community and many others, this means a reduction in the number of software patents that can be used to threaten software developers and users, and a resulting increase in innovation. Portable across a wide variety of operating systems, hardware, CPU architectures, public clouds, etc. 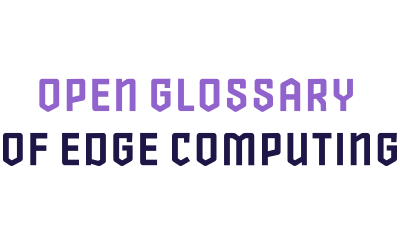 The Open Glossary of Edge Computing project provides a concise collection of terms related to the field of edge computing. Launched in June 2018, the glossary improves communication and accelerates innovation through a shared vocabulary, offering a vendor-neutral platform with which to discuss compelling solutions offered by edge computing and the next generation Internet. The Open Mainframe Project is intended to serve as a focal point for deployment and use of the Linux OS in a mainframe computing environment. The Project intends to increase collaboration across the mainframe community and to develop shared tool sets and resources. Furthermore, the Project seeks to involve the participation of academic institutions to assist in teaching and educating the mainframe Linux engineers and developers of tomorrow. Host the infrastructure for the open source project, establishing a neutral home for community meetings, events, and collaborative discussions, and providing structure around the business and technical governance of the project. The new Open Network Automation Platform (ONAP) Project brings together open source ECOMP and Open Orchestrator Project (OPEN-O) to allow end users to automate, design, orchestrate, and manage services and virtual functions. Alignment of the two projects creates a harmonized and comprehensive framework for real-time, policy-driven software automation of virtual network functions that will enable software, network, IT and cloud providers and developers to rapidly create new services. Policy-based control for cloud native environments. Empower your administrators with flexible, fine-grained control across your entire stack. Looking for configuration or driver help? Try our CUPS Quick Start or look for your printer in the Open Printing Database. For more detail, try Till’s Tutorial. If all else fails, ask a human in the forums. Researching a printer purchase? Simply browse our database. Looking for software? We host Foomatic, cups-filters, printer driver packages, and some other programs. Want to help? Here’s how. Open Security Controller Project is a software-defined security orchestration solution that automates deployment of virtualized network security functions, like next-generation firewall, intrusion prevention systems and application data controllers. The Open Security Controller Project enables East-West data center security, is scalable and reduces threats in software defined network environments. In modern data centers, networking functions are increasingly performed by software running on servers, either as part of the application or within a hypervisor. While the traditional Layer-2 Linux bridge addresses many common networking tasks, Open vSwitch was created with a robust set of features and a high-performance design to address the rapidly growing needs of SDN and virtual networking use cases. Today, OVS is used within multiple commercial products as well as large production environments. OVS has been ported to multiple virtualization platforms, switching chipsets, and networking hardware accelerators. OVS works on a wide variety of systems, including Linux, DPDK, Hyper-V, and FreeBSD. It is used in a variety of SDN applications, including NFV and network virtualization; it is the most widely used networking back-end in OpenStack. Contributions to OVS span more than 300 individuals across companies including Cisco, Ericsson, Huawei, HP, IBM, Intel, Red Hat and VMware. The governance is managed by a group of the top committers to the project with a variety of backgrounds and affiliations. The OpenAPI Initiative (OAI) is focused on creating, evolving, and promoting a vendor-neutral API description format. The OpenAPI Initiative (OAI) is focused on creating, evolving, and promoting a vendor-neutral API description format. SmartBear Software has donated the Swagger Specification to the OAI as the basis for this open specification. APIs form the connecting glue between modern applications. Nearly every application uses APIs to connect with corporate data sources, third-party data services, or other applications. Creating an open description format for API services that is vendor-neutral, portable, and open is critical to accelerating the vision of a truly connected world. 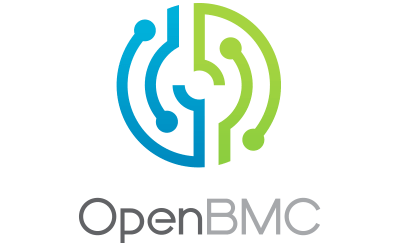 The OpenBMC Project community is defining a baseboard management controller stack that will work across heterogeneous systems, including enterprise, HPC, telco, and cloud-scale data centers. The OpenBMC Project community is defining a baseboard management controller stack that will work across heterogeneous systems, including enterprise, HPC, telco, and cloud-scale data centers. IBM has providing their OpenBMC code base to The Linux Foundation and Facebook, Google, Intel, and Microsoft also support the organization. BMCs, specialized controllers that monitor the state of a computer or hardware, are typically found in the main circuit board of the device they monitor. They enable monitoring and management of various aspects of the machine, such as health (e.g., temperature and voltages), log events for failure analysis, and provide a range of other remote management capabilities. The OpenChain Project will provide a baseline process that can be customized as companies and developers see fit. It will initially provide a set of guidelines intended to be used as a basis for monitoring and developing compliance programs. OpenChain will leverage existing best practices in the Linux ecosystem, such as Debian, as well as compatible formats with the Software Package Data Exchange® (SPDX), a standard format for communicating the components, licenses, and copyrights associated with a software package. The SPDX standard helps facilitate compliance with free and open source software licenses by standardizing the way license information is shared across the software supply chain. The OpenDaylight foundation promotes and advances the global development, distribution, and adoption of the OpenDaylight (ODL) open source SDN platform. Founded in 2013, we maintain an independent governance and infrastructure to help ensure ODL’s development can occur in a neutral environment. Its aim is to facilitate the growth of a strong OpenDaylight and Open SDN ecosystem by collaborating with developers, end users, and our members to produce the most relevant programs, events, and resources. The work done by ODL is made possible by contributions from Silver, Gold, and Platinum members, as well as the countless technical contributions from its developer community. As an open source project, the ODL platform is freely available for use under the Eclipse Public License (EPL), and anyone can participate in its development. OpenHPC is a Linux Foundation project whose mission is to provide an integrated collection of HPC-centric components that can be used to provide full-featured reference HPC software stacks. Provided components should range across the entire HPC software ecosystem, including provisioning and system administration tools, resource management, I/O services, development tools, numerical libraries, and performance analysis tools. OpenMAMA is an open source project hosted under the auspices of The Linux Foundation, developed and designed using a collaborative effort by an open community of professionals and volunteers collectively known as contributors. Contributors include anyone who is positively contributing to the OpenMAMA Project. The mission of the OpenMessaging project is to collaboratively develop: vendor-neutral and language-independent industry standards and guidelines for the use of messaging applications across industries. The mission of the OpenMessaging project is to collaboratively develop: vendor-neutral and language-independent industry standards and guidelines for the use of messaging applications across industries, including finance, e-commerce, IoT, and big data, as well as an ecosystem of messaging components based on the new specification that can be reused across multiple projects and vendors. OpenSDS is an open source project community working to address software-defined storage integration challenges particularly in scale out cloud environments dealing with multiple storage platform providers. Enterprise-grade switches power the internet by moving data packets among cloud service providers, internet service providers, corporate intranets and VPNs, data centers, civil infrastructure, and the Internet of Things. Traditional switches and network operating systems follow a proprietary and vertically integrated model, which does not allow vendors, operators, or users the flexibility to innovate and tailor networks to meet specific business needs. OpenSwitch allows developers to build networks that prioritize business-critical workloads and functions by removing the burdens of interoperability issues and complex licensing structures that are inherent in proprietary systems. OpenSwitch is developed collaboratively, allowing users and network operators to achieve advanced performance, flexibility, and security throughout network protocols. OpenSwitch’s elegant design enables seamless interoperability with critical enterprise-scale open source technologies such as Ansible and OpenStack, and is able to integrate with other open source technologies including Broadcom Broadview, Grommit, LLDPD, P4, OpenVSwitch, and Quagga. OpenSwitch also includes optional integration with SnapRoute’s open source L2/L3 stack. The SnapRoute stack is designed with the principles of a modern network stack and safe software design, is built for developer use, and includes extensive operator control and instrumentation. The OpenSwitch Project operates with an open governance model and accepts contributions from all interested companies and developers. Developer releases are currently available for prototyping, experimentation, and implementing on reference hardware. OpenTracing – A vendor-neutral open standard for distributed tracing. OpenVDB is an open-source C++ library comprising a novel hierarchical data structure and a suite of tools for the efficient storage and manipulation of sparse volumetric data discretized on three-dimensional grids. OpenVDB is an Academy Award-winning open-source C++ library comprising a novel hierarchical data structure and a suite of tools for the efficient storage and manipulation of sparse volumetric data discretized on three-dimensional grids. OperatorFabric is a modular, extensible, industrial-strength and field-tested platform for use in electricity, water, and other utility operations. OPNFV is a carrier-grade, integrated, open source platform to accelerate the introduction of new NFV products and services. As an open source project, OPNFV is uniquely positioned to bring together the work of standards bodies, open source communities, and commercial suppliers to deliver a de facto standard open source NFV platform for the industry. By integrating components from upstream projects, the community can conduct performance and use case-based testing to ensure the platform’s suitability for NFV use cases. OPNFV will also work upstream with other open source communities to bring the learning from its work directly to those communities in the form of blueprints, patches, and code contribution. OPNFV is mainly focused on building NFV Infrastructure (NFVI) and Virtualized Infrastructure Management (VIM) by integrating components from upstream projects such as OpenDaylight, OpenStack, Ceph Storage, KVM, Open vSwitch, and Linux. These components, along with application programmable interfaces (APIs) to other NFV elements, form the basic infrastructure required for Virtualized Network Functions (VNF) and Management and Network Orchestration (MANO) components. Today, big data analytics architectures typically consist of a number of discrete solutions integrated in silos with collections of data sources. PNDA offers an innovative approach to collecting, processing and analyzing big data. It has a streamlined data pipeline that makes it easy to surface the right data at the right time. By decoupling data sources from data consumers, you can integrate data sources once, then make data available for any application to process. Platform apps can perform horizontally scalable data processing, while client apps can use one of several structured query interfaces or consume streams directly. PNDA uses Kafka and Zookeeper for high-velocity data distribution. Kafka consumer applications can consume data directly, or you can create your own toolchain with modular apps that process data, then add it to Hadoop or return it to Kafka. The PointerEvents Polyfill (PEP) is a unified event system for the web platform. PowSyBl provides the code building blocks for the simulations and analyses of power systems, for horizons from real-time operation to investment planning). Power your metrics and alerting with a leading open source monitoring solution – Prometheus. The R Consortium, Inc. is a group organized under an open source governance and foundation model to provide support to the R community, the R Foundation, and groups and individuals using, maintaining, and distributing R software. The R language is an open source environment for statistical computing and graphics, and runs on a wide variety of computing platforms. The R language has enjoyed significant growth, and now supports over 2 million users. A broad range of industries have adopted the R language, including biotech, finance, research, and high technology industries. The R language is often integrated into third-party analysis, visualization, and reporting applications. The central mission of the R Consortium is to work with and provide support to the R Foundation and to the key organizations developing, maintaining, distributing, and using R software through the identification, development, and implementation of infrastructure projects. The Real-Time Linux (RTL) Collaborative Project was founded by industry experts to advance technologies for the robotics, telecom, manufacturing, and medical industries. The RTL Collaborative Project will initially focus on pushing critical code upstream to be reviewed and later merged into the mainline Linux kernel with ongoing support. RTL’s Thomas Gleixner, who has been maintaining the RTL branch for more than a decade, will become a Linux Foundation Fellow to dedicate even more time to this project. RethinkDB is the first open-source, scalable JSON database built from the ground up for the realtime web. It inverts the traditional database architecture by exposing an exciting new access model – instead of polling for changes, the developer can tell RethinkDB to continuously push updated query results to applications in realtime. RethinkDB’s realtime push architecture dramatically reduces the time and effort necessary to build scalable realtime apps. In addition to being designed from the ground up for realtime apps, RethinkDB offers a flexible query language, intuitive operations and monitoring APIs, and is easy to setup and learn. See the post Advancing the realtime web for more technical details on RethinkDB’s mission. RIAPS: The Resilient Information Architecture Platform for Smart Grid (RIAPS) provides core infrastructure and services for building effective, secure and powerful distributed Smart Grid applications. The RISC-V Foundation includes over 210 institutional, academic and individual members from around the world and has realized 100 percent year-over-year membership growth. The RISC-V Foundation includes over 210 institutional, academic and individual members from around the world and has realized 100 percent year-over-year membership growth. This partnership with the Linux Foundation will enable the RISC-V Foundation to grow the RISC-V ecosystem with improved support for the development of new applications and architectures across all computing platforms. An application container engine developed for modern production cloud-native environments. rkt is designed to be secure, composable, and standards-based. Pod-native: rkt’s basic unit of execution is a pod, linking together resources and user applications in a self-contained environment. Security: rkt is developed with a principle of “secure-by-default”, and includes a number of important security features like support for SELinux, TPM measurement, and running app containers in hardware-isolated VMs. Composability: rkt is designed for first-class integration with init systems (like systemd, upstart) and cluster orchestration tools (like Kubernetes and Nomad), and supports swappable execution engines. Open standards and compatibility: rkt implements the appc specification, supports the Container Networking Interface specification, and can run Docker images and OCI images. Broader native support for OCI images and runtimes is in development. Rook is an open source orchestrator for distributed storage systems running in cloud native environments.Rook turns distributed storage software into a self-managing, self-scaling, and self-healing storage services. Rook is an open source orchestrator for distributed storage systems running in cloud native environments.Rook turns distributed storage software into a self-managing, self-scaling, and self-healing storage services. It does this by automating deployment, bootstrapping, configuration, provisioning, scaling, upgrading, migration, disaster recovery, monitoring, and resource management. Rook uses the facilities provided by the underlying cloud-native container management, scheduling and orchestration platform to perform its duties. Rook is currently in alpha state and has focused initially on orchestrating Ceph on-top of Kubernetes. Ceph is a distributed storage system that provides file, block and object storage and is deployed in large scale production clusters. SNAS.io provides network routing topologies for software-defined applications. The project tackles the challenge of tracking and analyzing network routing topology data in real time for those using BGP as a control protocol, Internet service providers, large enterprises and enterprise data center networks using EVPS. Topology network data collected stems from both layer 3 and layer 2 of the network and includes IP information, quality of service requests and physical and device specifics. The collection and analysis of this data in real time allows DevOps, NetOps and network application developers who are designing and running networks work with topology data in big volumes efficiently to better automate the management of their infrastructure. The Software Package Data Exchange® (SPDX®) specification is a standard format for communicating the components, licenses, and copyrights associated with a software package. The SPDX standard helps facilitate compliance with free and open source software licenses by standardizing the way license information is shared across the software supply chain. SPDX reduces redundant work by providing a common format for companies and communities to share important data about software licenses and copyrights, thereby streamlining and improving compliance. The SPDX specification is developed by the SPDX workgroup, which is hosted by The Linux Foundation. The grassroots effort includes representatives from more than 20 organizations—software, systems, and tool vendors, foundations and systems integrators—all committed to creating a standard for software package data exchange formats. SOF includes digital signal processing firmware and an SDK that together provide infrastructure and development tools for developers working on audio or signal processing. They are platform- and architecture-agnostic. The SDK comes with five components: the firmware source code, firmware tools to convert firmware into appropriate formats and debug, a tool chain for firmware image creation, an emulator to trace and debug drivers and firmware, and ASoC Linux kernel drivers that are required to register the DSP and firmware. These tools include scripts to help developers evaluate tradeoffs between memory, audio quality, and processor load. The project also has GNU Debugger integration. Spinnaker is an open source, multi-cloud continuous delivery platform for releasing software changes with high velocity and confidence. Spinnaker is an open source, multi-cloud continuous delivery platform for releasing software changes with high velocity and confidence. Created at Netflix, it has been battle-tested in production by hundreds of teams over millions of deployments. It combines a powerful and flexible pipeline management system with integrations to the major cloud providers. Tars is a highly performance rpc framework based on naming service using tars protocol and provides a semi-automatic operation platform. Tekton is a set of shared, open source components for building CI/CD systems. It modernizes the Continuous Delivery control plane and moves the brains of software deployment to Kubernetes. Tekton is a set of shared, open source components for building CI/CD systems. It modernizes the Continuous Delivery control plane and moves the brains of software deployment to Kubernetes. Tekton’s goal is to provide industry specifications for CI/CD pipelines, workflows and other building blocks through a vendor neutral, open source foundation. Tizen is an open source project that is the home of the Tizen software platform, a mobile and device operating system based on Linux and other popular upstream projects. Tizen supports multiple device categories, such as smartphones, tablets, smart TVs, netbooks, smart watches, and in-vehicle infotainment (IVI). The Tizen application programming interfaces are based on HTML5 and other web standards, and we anticipate that the vast majority of Tizen application development will be based on these emerging standards. These APIs will cover various platform capabilities, such as messaging, multimedia, camera, network, and social media. For those who use native code in their applications, the Tizen SDK will include a native development kit. We will open the entire Tizen software stack, from the core OS up through the core applications and polished user interfaces. Open source is part of the fabric of each of our companies. Between us, our open source programs enable us to use, contribute to, and maintain thousands of projects, both large and small. These programs face many challenges, such as ensuring high-quality and frequent releases, engaging with developer communities, and contributing back to other projects effectively. The members of the TODO Group are committed to working together in order to overcome these challenges. We will be sharing experiences, developing best practices, and working on common tooling. CNCF project, The Update Framework (TUF) is a specification for securing software-update systems against attacks that occur during updates or initial installations. A CNCF project, The Update Framework (TUF) is a specification for securing software-update systems against attacks that occur during updates or initial installations. TUF was originally developed by the NYU School of Engineering and has been integrated into enterprise software products developed by Docker and VMware, among others. TUF uses cryptographic keys to help protect against known exploits during software installation or updates, by ensuring users are installing the files they intend to install. TUF is integrated as part of the software-development process, rather than as a standalone cybersecurity tool. Tungsten Fabric is an open source network virtualization solution for providing connectivity and security for virtual, containerized or bare-metal workloads. Vitess, a CNCF project, is a database clustering system for horizontal scaling of MySQL through generalized sharding. Vitess, a CNCF project, is a database clustering system for horizontal scaling of MySQL through generalized sharding. By encapsulating shard-routing logic, Vitess allows application code and database queries to remain agnostic to the distribution of data onto multiple shards. With Vitess, you can even split and merge shards as your needs grow, with an atomic cutover step that takes only a few seconds. Vitess has been a core component of YouTube’s database infrastructure since 2011, and has grown to encompass tens of thousands of MySQL nodes. It is architected to run as effectively in a public or private cloud architecture as it does on dedicated hardware. It combines and extends many important MySQL features with the scalability of a NoSQL database. A Node.js bindings implementation for the W3C WebDriver protocol. webhint is a linting tool for the web, with a strong focus on the developer experience: easy to configure, develop, and well documented. The Xen Project is the leading open source virtualization platform that is powering some of the largest clouds in production today. Amazon Web Services, Aliyun, Rackspace Public Cloud, Verizon Cloud, and many hosting services use Xen Project software. Plus, it is integrated into multiple cloud orchestration projects like OpenStack. The Xen Project team is a global open source community that develops the Xen Project Hypervisor and its associated subprojects. Xen (pronounced /’zɛn/) Project has its origins in the ancient greek term Xenos (ξένος), which can be used to refer to guest-friends whose relationship is constructed under the ritual of xenia (“guest-friendship”), which in turn is a wordplay on the idea of guest operating systems as well as a community of developers and users. The Yocto Project is an open source collaboration project that provides templates, tools, and methods to help you create custom Linux-based systems for embedded products, regardless of the hardware architecture. It was founded in 2010 as a collaboration among many hardware manufacturers, open source operating systems vendors, and electronics companies. As an open source project, the Yocto Project operates with a hierarchical governance structure based on meritocracy and managed by its chief architect, Richard Purdie, a Linux Foundation fellow. This enables the project to remain independent of any one of its member organizations, who participate in various ways and provide resources to the project. Zephyr Project is a small, scalable, real-time operating system for use on resource-constrained systems supporting multiple architectures. Developers are able to tailor their optimal solution. As a true open source project, the community can evolve the Zephyr Project to support new hardware, developer tools, and sensor and device drivers. Advancements in security, device management capabilities, connectivity stacks, and file systems can be easily implemented. Zowe offers modern interfaces to interact with z/OS and allows you to work with z/OS in a way that is similar to what you experience on cloud platforms today. You can use these interfaces as delivered or through plug-ins and extensions that are created by clients or third-party vendors.